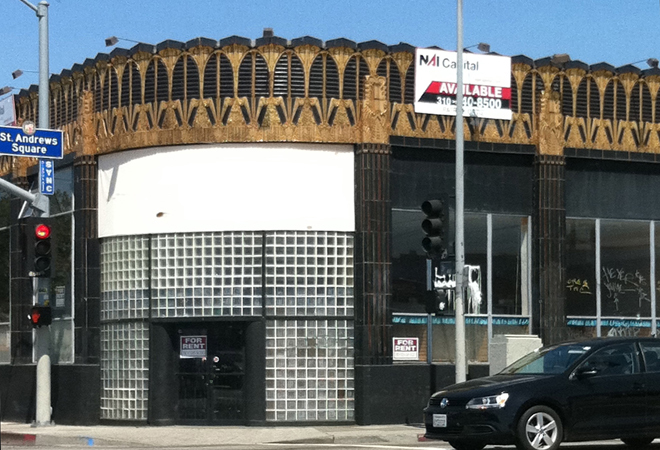 Some stylish person out there needs to rent this glorious art deco landmark at Third and Western. It would make a pretty glamorous restaurant. The 1931 Selig clothing co. has been a bank, a video store, most recently back to a clothing shop and now the prime corner is sitting empty. 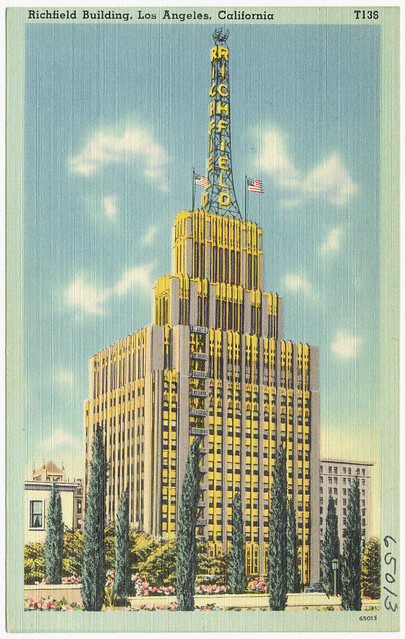 It is one of only two remaining black-and-gold tile confections in the same city that once had this magnificent skyscraper. This cute little jewel is like a teensy Pantages theatre and Koreatown is a bargain. Go get it!